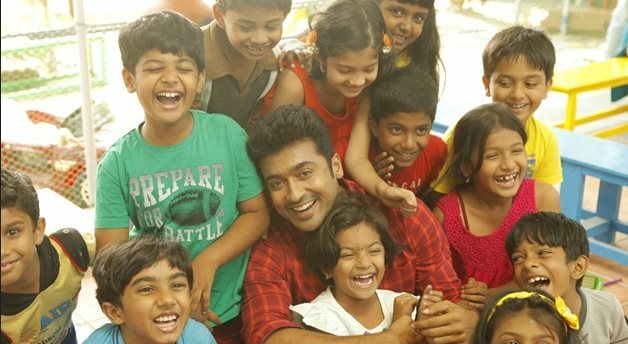 Not often we do get to see movies completely dedicated to the kids and Suriya's upcoming production 'Pasanga 2' will be offering something more enlivening to the family audiences. The censor board committee members happened to view the film and have now passed 'U' certificate. The film is directed by Pasanga fame Pandiraj and is produced under the banner of 2D Entertainment with Karthik, Munish Kanth, Bindu Madhavi and Vidya seen in important roles alongside kids. The film has extended cameo roles by Suriya and Amala Paul. The film's theatrical release is scheduled to happen on December 4 along with few more releases.